Every so often a company will debut a category-shattering display of engineering that seems to break all kinds of rules, defy stereotypes, and spearhead a new generation of skiing. Behold: The Alien RS. Holding true to the da Vinci mantra "simplicity is the ultimate sophistication," the Alien RS is a delightfully simple boot. A stiff carbon infused grilamid cuff is mated to a stiff carbon infused grilamid lower by way of an unbelievably dexterous pivot that again, defies stereotypes. A Boa closure on the lower shell wraps around your foot to create a secure and precise fit. Racers, say hello to your new everyday boot light enough to sneak in 40,000ft of dawn patrols per week; freeriders, mountaineers, and steep skiers, say hello to your beefy race boot capable of taking you further than ever before. Carbon Grilamid LFT Shell and Cuff blend industry-leading power-to-weight ratio with industry-leading price. Lower Shell is built around a 3D Lambda Torsion Frame to increase lateral stability and power transfer. Speed Cam Lock ski/walk mechanism is reliable, durable, and precise. A waterproof, zippered gaiter tempts snow to even try to get into this boot. Offset toe lugs promote a more natural walking motion to increase touring efficiency. Notes Grilamid infused with long strands of carbon fiber increase torsional stability and precision. A zippered, waterproof gaiter invites you to use your imagination when accessing lines. Bottom Line If the Holy Grail was a ski boot. I skimmed through and saw lots of comparisons to other boots, but not to Alien 1.0. . . maybe I missed it. 1. Does this boot ski as stiff as 1.0? If not as stiff, is that in a good way (like smoother flex closer to TLT6 vs the stiff brick wall of the 1.0?) or is it just flimsy like the original plastic alien? 2. The 1.0 has a fixed cord that you adjust by re-tying the knot and this boot looks like it has a cam to adjust more easily. When I have climbed vert ice with my 1.0, it seemed to work really well unbuckled but I wonder if the on-the-fly cuff adjustability of this boot would be a benefit climbing ice to get a little more cuff support and decrease calf fatigue? 3. Since this boot seems to have a more conventional liner, do people feel like it walks as well as the 1.0 or does the liner inhibit range of motion somewhat? 4. 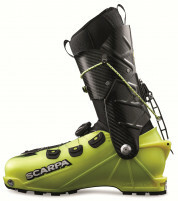 Lots of comments about durability. . any comment from Scarpa about changes or improvements next season? 1. Scarpa rates them 95 RS and 100 for the 1.0. But they are very different boots, the 1.0 is a Race boot with a stiff carbon cuff. The RS has been much refined from the original Alien to a race light touring boot. 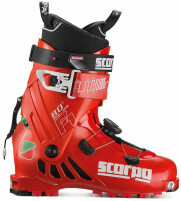 Forward flex is not flimsy and is considered by many to have the best downhill performance for a boot this light. 2. The cam is a nice touch, but still recommend tying a knot. 3. Range of motion is still excellent in the RS. New liner does not seem to restrict. 4. No announced changes next year, just adding a size 31. The lean lock/locking lever screw keeps falling out. I lost one touring and one simply on the approach (hiking with the boots on my pack). I know this is a well documented problem but didn't see a solution mentioned after a quick scan through all the comments. I've about had it--and Scarpa customer service hasn't helped out by sending new screws despite several emails to them. I imagine you guys have a good work-around? 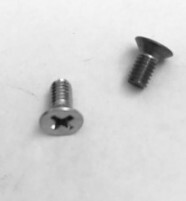 Do you just recommend a screw from the hardware store with a locking nut? Any better suggestions? I almost thought I'd just put a ten-penny nail through it and bend it over but there has to be a better-engineered solution. Thanks. Hey Josh, I’m sorry that Scarpa hasn’t been getting back to you! Thankfully, a standard stainless steel bolt and locking nut from the hardware store are a sufficient fix here. - Boa cable broke. Replaced with a free kit from Boa under warranty, but doing that job is a major PITA. Not something that could likely be done out in the field. - Ski/Walk lever attachment screw fell out while on a tour. I cobbled together a fix with bits from my repair kit to get home, and then replaced the bolt with the closest approximation from a hardware store once home, but Scarpa used a weird diameter bolt for this, and the replacement is slightly more narrow which leaves a fair amount of slop in the lever pivot. - Cuff cord broke clean through on a long tour yesterday, rendering the ski/walk mechanism and cuff closure useless. I made an emergency fix with a Voile strap to hold the cuff closed and permit me to ski downhill (sloppily), but now I have to figure out how to replace that darn cord. 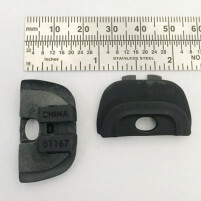 This also revealed another weakness in the ski/walk lever's design: there is nothing that actually locks the lever into ski mode; there's just a groove in the lever that a metal tab on the boot heel slots into. The two are held together solely by friction from the pivot/attachment bolt. But, if the ski/walk lever is worn around the bolt where it pivots, or that bolt had to be replaced with a slightly sloppier fitting one as in my case, the lever has little friction to hold it in place and can simply fall out of lock mode, which it did about 100 times to me yesterday. - It is a narrow and low-volume last, unlike other Scarpa boots such as the Maestrale, which is great for me since my feet are shaped liked toothpicks, but people who have normal feet might need some modifications to fit comfortably. - Sizing runs small. I'm a 27.5 in alpine boots, 28.5 in all other touring boots, and a 29.5 in the Alien RS, which is borderline too small. If I keep these I will get a punch in the toe box to make more room. - As others have noted, the toe box is oddly shaped and aggressively rounded off. This causes even narrow feet like mine to feel jammed into the sides of the toe box. - Forward lean is minimal and forces a more upright stance. If it was more reliable it would be a great option for me, but for now I'm shopping for something that won't break as often, even if it ends up being heavier. The finest lightweight touring boot of all time. I have probably 200 days and 700,000+ vert on mine and they're still holding strong! I've skied tlt5s, 6s, backlands, f1s and several others, and really nothing comes close to the worry-free efficiency of the RS. The one caveat is that you really have to know how to ski for them to work. With a solid technical foundation and an understanding of the limitations of 1 kilo boots, they will take you anywhere. I ski them on 80mm mountaineering skis, all the way up to 110mm powder skis, and they've never complained once. They're the warmest, most comfortable boot i've ever had and when they die (they're close), i'll get another pair. I had the pleasure of using this boot for three days before the cuff broke right above the ankle pivot on the outside of the left boot. The boots were amazing, but broke just from flexing forward skiing normal conditions. I attempted to warranty them and Scarpa denied the claim saying I “Overflexed” the boot. Total BS. I continued to baby them in SkiMo races and just found out the other boot broke in the same place. Such BS. I don’t understand how people can ride these things and not break them. I’m only 150lbs and I broke both boots just by skiing groomers. (Probably because I’m so freakin fast!). Super pissed at Scarpa for not warrantying them. Can’t say I would recommend them to people. Hi Silas, I would take these back to your dealer and have them process a warranty for you. It should be no problem, at least here in the U.S.. For what it's worth, we haven't seen any crack like this. I have this boot for almost two seasons. Both my Boa cables broke at the end of last season. The first one i got replaced for free by Scarpa, and the second I did myself with a replacement kit... fairly easy. The wire they put in the stock RS is surrounded by a black plastic, and probably a bit thinner... so it is fragile compared to the typical Boa cable (So they told me at the Boulder Scarpa Repair Facility). By replacing it with a Boa cable without the outer plastic, the Boa tends to break less. I haven't had any problems this season, and I think Scarpa hasn't had people complaining about the new wires they replace the stock one with. I will add that a Boa mechanism is relatively complex compared to other tightening options out there, hence you can expect something more fragile. But it is easy to replace with a simple kit, and the comfort of the adjustable tightness is amazing. In my opinion, this boot is worth it. "We have updated the boa to a metal cable instead of the plastic coated as it is much more durable. The repair we do requires a rivet press, as we replace all of the clips as well. I can send you the parts, but the better fix is to send it in to us. On a rush repair we can have it done in a few days once we receive it." I am not sure why Scarpa feels the need to replace the clips. Maybe the clips have a tighter radius of curvature and would kink less?....just guessing. I'll see how the repair holds and maybe send boots in at the end of the season for clip replacement, if it still seems appropriate. I recently tried to replace the boa myself, however have run into issues remounting the plastic bottom half of the boa back onto the boot - section that connects the boa cabling system to the outer boa dial. It seems that no matter what orientation I seem to use, it wont click back into place. Has anyone else run into the same issue? Yes, I think I know what you are talking about. That little plastic tongue seems too stiff to snap into place. I filed a tiny bit of plastic away and then applied chapstick to the plastic and then placed it tongue first and then pushed the superior piece down and it did snap into place finally. Awkward for sure. My favorite touring boot to date! My boot journey has been a bit like Goldilocks...but I'm so glad I found these. I started skiing the Dynafit Px One which is a pretty heavy touring boot. From there, I swung back to the Salomon Slab boots which I found overly complicated and frustrating to use. Finally, I landed on these and I LOVE them. Fastest transitions ever. While I'm still not racing material by any means, these boots are so quick and easy to transition. All you have is the single ski/walk throw on the back of the boot. If you needed, you can quickly tweak your forefoot pressure using the boa but generally you can set it and forget it. Excellent booting tread + expansive walk mode. These are so comfortable to hike/walk/scramble in! I think this is mostly due to the wide walk mode. I almost feel like I can walk normally and this has come in handy when doing multi-mile dirt approaches with skis. The boot part fits snugly, more shoe like, and this means fewer blisters as well. The foot fit is also amazing enough that I have ice climbed in this boot with fantastic results. I felt super confident and didn't have any toe or shin bang. Plus they are basically as light as a beefy mountaineering boot! Awesome gaiter - the gaiter on this boot is so much better than the Salomon gaiter. It fits super snugly around the liner and doesn't move unless you really want it to. Seals out snow, I've never had damp feet. Love it and hoping to ski it for many seasons to come! I just purchased this boot after skiing the original LS Spitfire for sixish seasons. I have skied the boot twice and like it so far. I do think it is a little on the chilly side (at least for Rocky Mountain National Park), but the skinning/climbing performance is great. It is also quite stiff and almost skis as well as my Spitfires. The question I have concerns the forward lean. I know others have asked similar questions, and I actually just emailed Skimo.co directly, but I thought I would post here as well. I am very used to the 16 degree lean that the Spitfires have, and has very surprised that Scarpa decided to only go to 13 degrees (especially when the LS Sytron goes to 22 degrees!!). I put a shim in the back but am still feeling a bit off-balance when I try to drive turns or do techy jump-turns. I am thinking that the answer might lie in the walk/ski mode heel lever. Looking at photos, it appears that the Alien 1.0 has a slightly different lever, and I am wondering if anyone knows if it happens to be longer than the Alien RS one--I think a few millimeters would make all the difference regarding lean. Any other ideas regarding ways to increase lean are welcome. I am otherwise pretty smitten with the boot. Hi Nodin, assuming you've found the forward lean adjustment in the boot itself, it's good to note that forward lean in the boot is just one part of the equation for finding that sweet spot. Playing with the ramp of your bindings and/or the mounting position on the ski could also help. I measure a 26 in length and was fit into a 27 boot. After about 6 days the boots have become quite sloppy in fit. What liner would you reccomend to take up more space than the stock? Hey Steve, sorry you're having to deal with a sloppy fit there! While it isn't an ideal solution to take up volume with a thicker liner, I might recommend the Palau Powertrack 10 for going that route. It won't walk quite as well as the stock liner and has a somewhat beefy cuff, but it should help fill the voids and offer a more secure fit! Steve...I have a brand new pair of 26s if you want to swap. 26 is too small on me. fit relative to the older all yellow Alien? I was sort of between a 26 and 27 in those boots. big foot measures 272mm. low volume and a true D width. Hi Kurt, the RS is a bit longer in the same size. But, like the original, the boot is on the narrow side compared to a D width so it might feel small in the correct length. Based on your foot measurement, I would think the 26 is too small. hmm ok. I tried a 27 in the original Alien, went to a 26. My toes were scrunched on those but the rest of the boot felt good. Looking at BSL between the 2, the RS seems a bit longer, no? Hi Kurt, yes it's a bit longer internally (which is not necessarily indicated by BSL). 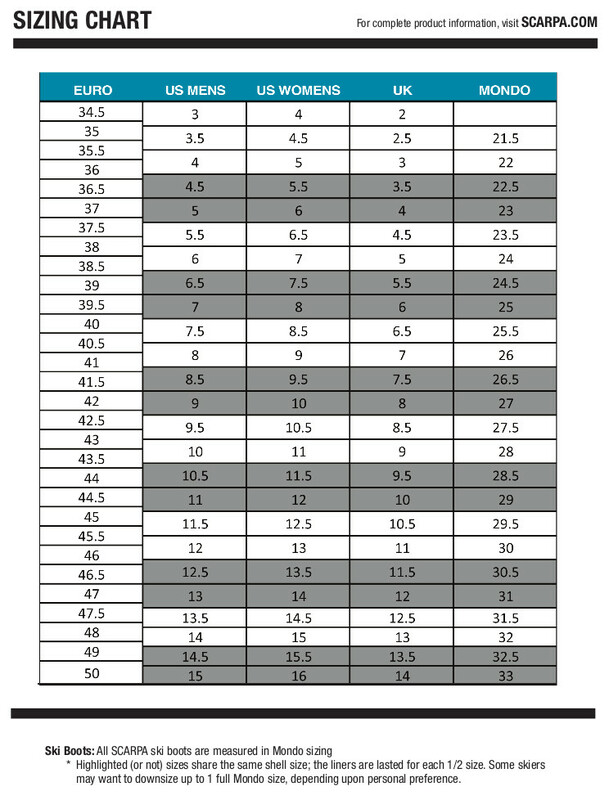 The Mondo scale is essentially your foot length in cm, so seeing as you measure over 27cm, 26 seems small on paper. Measurements aren't the most accurate fit approach though as there can be variables with footbeds, sitting vs standing, etc. I've been using TLT6 first edition in size 27.0. My big toes gets pretty damn hurted on long days because of the boot lenght which is too small so i would fit better with 27.5 tlt6. They still works great while strictly ascending. Which size do you think would fit best for me? 27.0 or 28.0? I ski a lot of long days on flat mark before reaching the mountains, so i hate when my toes hit the front wall of boots. Hey Eric! There are a ton of metrics that will make or break a proper fit, but based on what you said I am thinking you'd be a far better candidate for a 28 than a 27. Fill out our boot fitter if you'd like a more in-depth analysis of the fit and if this would be a good boot for you! Just wanted to add a few observations regarding the fit of these boots. Enough was said about ski performance and I'm not a ski expert to add much on this subject. It was an emotion-driven purchase. My beloved LS Syborgs all of a sudden turned into torture device when some kind of bony protrusion grew on my foot and it gotten really painful after only a few hours of touring, especially when in a ski mode. I went to the ski shop to try to do something about, saw Alien RS, put them on and pulled out my cc! It's been a little tight at the forefoot first few outings but then it went away and now the boots are really comfy! I had the liners molded but frankly I think the fit improved just from usage. Anyway: my feet are old, medium width, pretty wide at the toes but these boots fit great! I probably went with 1/2 to 1 size too large so the fit is not "performance fit" but they ski great for me and very comfortable. No hot spots, no blisters, nothing! Maybe I should try a foot-bed to take up some of the slop but maybe it's like trying to fix what's not broken? Ski/walk mechanism is way harder to work compared to Syborgs. You need to bend back to reach the lever and it may take a little fiddling. Really no big deal and I'll probably learn to do it quicker with time. As others pointed out, the cord for tightening gets frayed pretty early and the cord slips through the locking fitting when tightened hard. A knot on a cord would probably solve the slippage problem. I'll add other negatives if I could think of anything else. Pros: Light-very stiff for weight. walk range is great, similar to other race style boots. Boa is great for easy adjustments. Love the simplistic single throw for switching to ski mode. Tread is very durable. I have only skied race style boots, I've never skied an alpine boot, but comparatively this is the stiffest boot i've used. I have no problem on 100mm waist skis with this. Wouldnt hesitate to use on 105s, but I am a balance skier, I dont drive from the cuff. Cons: Durability of gaiter pulls-ripped off pretty early while sliding a liner in. Cord that also serves to put the boot in ski mode also visibly is frayed after about 50 days and also slips through the cam lock. Like others I have just tied a knot so that it will not slip through. I have also found the single throw latch to loosen over time, requiring occasional tightening. I am also concerned about the stress on the small cam lock from the added knot, though I havent noticed any issues yet. I also do not like that the sole is very flat. Comparatively to some other brands, there is almost no rocker, so even though ankle ROM is huge, the "naturalness" of the walk is impeded by the flatness of the sole (though that may be preference). I also question the use of the carbon infused grilamid throughout the entire shell, I will explain in the fit notes. Fit notes: very narrow toe, not anatomical shape. symmetrical rounded pointy ish toe (never seen anyone who has feet or toes that look like the toe box on this) Fairly low volume. My foot measures a 27 but I have to do a 28 in this and its still too tight for my width. The heel and midfoot are wider. I personally have a wide forefoot and narrow heel. This boot is too tight in the toes and too sloppy in the heels for me. I had to add a lot of foam in order to get good heel hold on this, I also had to add a foam shim to the shin area to held with heel hold. Because of the very specific fit of the boot, it is even more limited because of the carbon fiber infused grilamid. This material is stiff, but is extremely difficult to punch. And Scarpa doesnt approve of punching it (voids warranty I believe). I have had mine punched but compared to normal grilamid I was much more limited in how much I could punch it. So if your normal practice is to downsize shell and punch it out, or have a suboptimal fit and modify it, the potential for modification is very small. Even after punching I didnt have enough space in the big toe area so I used a razor to cut out a couple mm from the inside of the liner by my big toe. This boot should work for you if you have a narrow forefoot and in general low volume feet. Talk to the guys on this site, they will steer you in the right direction as far as fit. If you have average, wider "american" feet, my guess is these will be a tough fit out of the box and may not work. Notes to Scarpa: You know what most people's feet look like, as evidenced by the Maestrale, and other mountain boots, like the Mt. Blanc or the new Ribelle or various other boots. Why do you change the last for "race" boots? Not all people who like to race suddenly morph the shape of their feet. Also, if you are going to make a very specific type of fit that doesnt work for a lot of people, at least make the lower part of the shell out of an easily modifiable material like normal grilamid so that those of us that dont have small elvish pointy toes can have a solution for fit. Ultimately I will keep the boot, unless someone wants it, but I cannot bare it for multi-day or very heavy mileage days. But if I want high performance skiing or dont plan on a super long day I may take them, but usually comfort wins out for me, so these may be collecting dust for me now. Still an excellent option if it fits you, definitely try in store before purchase. Is there a cuff cant on this boot? Thinking no, but somewhere I thought I read a review that mentioned a cuff cant. Hey Bruce! Nope, no cant cuff! They went light and burly with this one! Got these at the beginning of the season and have pushed them hard, what an amazing upgrade from my old TLT 5 Ps. Scarpa seems to advertise this as a race boot, but I don't think this is the case, not quite light enough, the ankle articulation isn't quite there, and there is much too much resistance pushing the boot through the articulation for it to be called a true race boot. I think skimo.co makes a good distinction by calling this category "race-plus." Boy for the weight does this boot ski, easily equal to my old TLTs, in my opinion everyone between freeride shredders and racers should be zipping around on these. Sizing is tighter and narrower than most Scarpa boots, I'm commonly a 27-27.5, I chose a 27 in these, they fit quite nicely but it's definitely a performance fit. Gaiter is amzingly thought out, and I love that they added a clip for binding tethers. My only complaint is that the cam device used to adjust tightness of the upper eats at the dyneema cable, hasn't failed yet, but is visually core shot. A thought as to how Scarpa could make these better is by using a full carbon upper, retaining the carbon grilamid lower and lining it with weave as in the current 1.0, this would make the boot considerably stiffer and lighter without compromising durability of the lower for scrambling. Perhaps the new 1.0 will fill the ticket. These Alien RS boots ski astonishingly well for as light as they are. The innovative Boa and upper cuff tightening systems provide for something that feels a bit like a four buckle design in a 2 lb boot. I have fifty days or so of skiing in these boots, and a couple days of ice climbing. No concerns or complaints about durability. 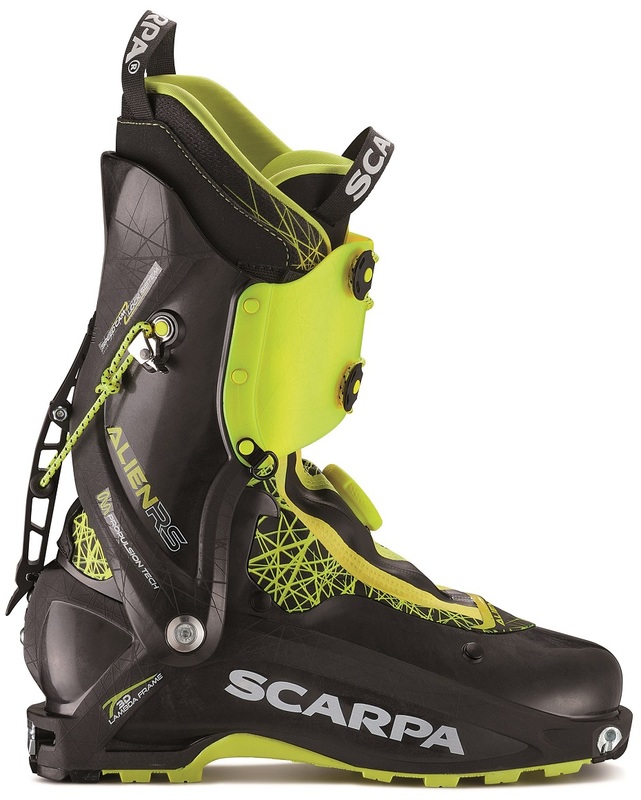 Scarpa suggests that these boots are best for skis 85mm or less. I ski these on 84mm skis, but feel that they could comfortably power a bigger ski. A ski partner skis these boots on 95mm skis without complaints. The boots are a little tight in the toe box, and fit a little bit short. I usually ski a 26.5 ("performance fit") boot, and my size 27 Alien RSs are barely big enough (I have a footbed in the boots to raise my arch and shorten my foot a bit). Not an ideal boot for ice climbing. The offset toe welt does make the boot natural to walk in and tour in, but might require you to bend your crampons' toe bails to get a snug fit. The ski/walk mode arm interferes with the heel clip on most crampons, meaning you'll need to loosen your crampons to switch between walk/ski mode. The boots are comfortable and dexterous enough that I have no difficulty driving my manual-transmission Subaru in the boots, and often find myself running errands in town on my way to/from skiing in the boots. 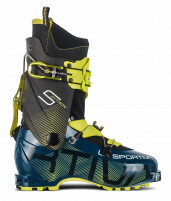 This is a perfect boot for ski mountaineering and any sort of long distance touring. If your objective is moving quickly and confidently on snow in the backcountry, I'd suggest that the Alien RS is a perfect boot. Hi there. Was wondering if the Aliens RS can be punched. Of course Scarpa states against that and it would devoid the warranty. Currently skiing 27.5 Dynafit Beast with a small punch for my right foot bunion. Tried the Aliens RS in 28 and got a really good fit except a pressure point in the bunion. It might go with liner molding, but it did not in case of the Dynafits. I would probably need couple of millimeters punched, do you think its doable? Peter- Yes the punch would void any warranty on this boot. That said, there is some capability depending on where on the boot it needs to be modified. I've successfully had these punched for metatarsal region on both sides, several mm, would not hesitate to do again. I wear a 27.0 in the new Maestrale RS 2.0. What size would that be in the Alien RS? 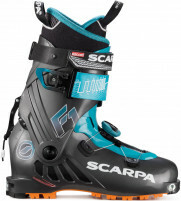 Hi Jeff, SCARPA uses similar lengths across their line of boots, but the widths can vary. The Alien is noticeably narrower than the Maestrale in the same size, but about the same length. Has anyone managed to get shorter leashes (like the Dynafit Guide) to work with this boot? I can't find any suitable locations to clip into. I realize the around-the-cuff long B&D brand ones are an option, but I'd like to use something shorter if possible. Hey James! Yeah, totally! I actually use the exact combo you're mentioning. There's a small d-ring riveted into the upper shell that you can girth hitch the steel ring from the Dynafit Guide leash into! Can't quite get used to the 13° max forward lean on these boots. Looking at the clamp in the back for adjusting the forward lean, it looks possible to modify this to get a couple of more degrees in (drilling to offset the holes). Any ideas if this mod has been done before? And is it just me, or is the forward lean accually not quite normal on these boots? Hey Erik! Not sure if it's actually been done before but I've had this talk multiple times, including with myself. The forward lean isn't quite where I want it to be either. A less permanent (and potentially warranty voiding) solution would be to put some foam on the back of the cuff of the liner to just bump your lower leg a bit further forward. We've done that many times on these boots before to account for tiny calves or not enough forward lean. The forward lean is joke. I love everything else about this boot except the forward lean. The idea that less forward lean is going to keep people out of the back seat is ridiculous. Someone needs to come up with a mod and fast. If someone wants to know; I made a quite easy mod for this - drill two new holes to move the adjuster two notches further down than orignal adjustment range. The upper hole will only have <0,5-1 mm clerance of metal on the upper part, but dont think that is a problem. I am a big guy (190 cm, almost 90 kg), and the mod have held up nice for about 40 days of skiing (exept that the boa broke some days ago...). Hey Erik! Ha, score! That's what I like to see. Glad it's working out for you. Might do the same with mine actually.